Among many of the exceptional brands of pool and spa filter replacements that Filters Fast provides is Intex. 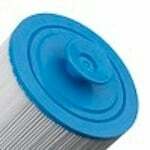 Among many of the exceptional brands of pool and spa filter replacements that Filters Fast provides is Intex. Intex carries superior products for your pool and spa water purification needs. 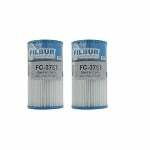 Filbur FC-3752 Replacement For Intex "Pool Filter B"
The Filbur FC-3752 Pool Filter replaces the Intex Pool Filter B in the following Intex swimming pools: Intex Easy Set, Intex Frame Set, Intex Wet Set, Sun n Sand swimming pool and also Intex Krystal Clear filter pumps. 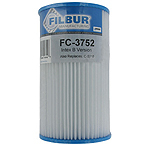 The Filbur FC-3748 is the replacement filter for the Intex 59901 R. The Intex 59901 Comp. Pool & Spa Filter Cartridge has a diameter of 5 3/4 inches, and a length of 12 1/8 inches. The Intex Type D Comp. 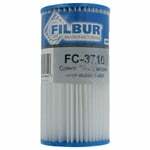 Replacement Pool Filter is a spa filter cartridge that measures 4 1/4" x 3 3/4" with 2 1/8" Open top & bottom styles. This compatible Intex Spas has 3 square feet of media area for contaminant reduction.